The end of April was full of activity for us here in the Basque Country. Since I had some time off from work because of spring break we were able to take advantage of some of the fun things around us. Serving where the need is great allows you to enjoy new experiences and see some amazing things while at the same time being able to expand your service. 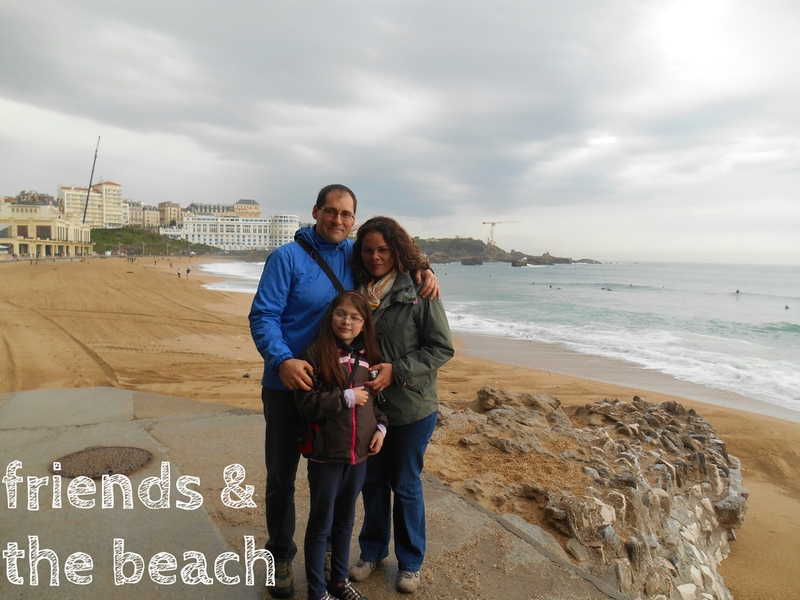 Towards the end of the month we were able to do a day trip to France with some new friends that we met. 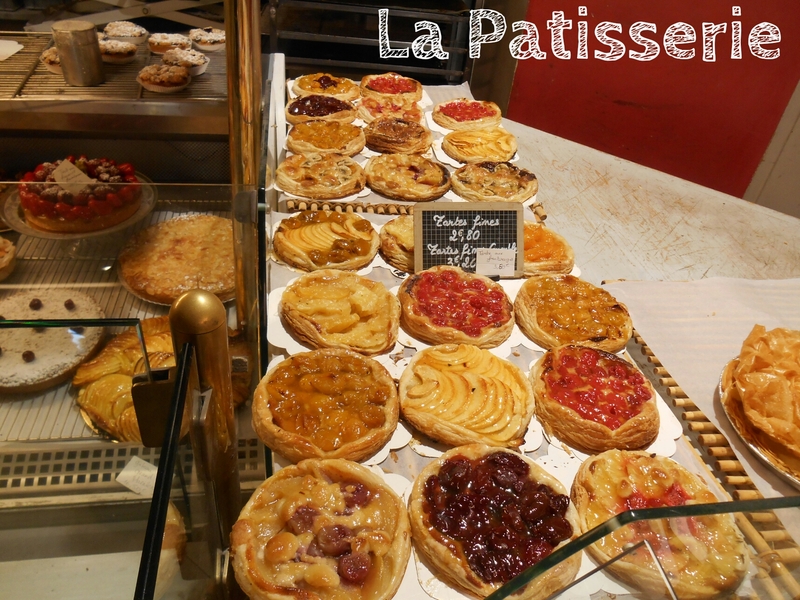 For me this had a special significance since it had been over 25 years since I had been back to France since having spent the very early years of my life growing up in Normandy with my family. I felt as if I was home! It took us a little over an hour to get to France by car and since all countries in the European Union are linked they have open borders. For us this was a strange concept because we came from California which borders with Mexico and we are accustomed to heavily guarded borders. The open border was a nice and welcome change! Once we crossed into France you can immediately notice the difference. We can actually understand all of the signs on the road! All of the license plates change to “F” instead of “E”. 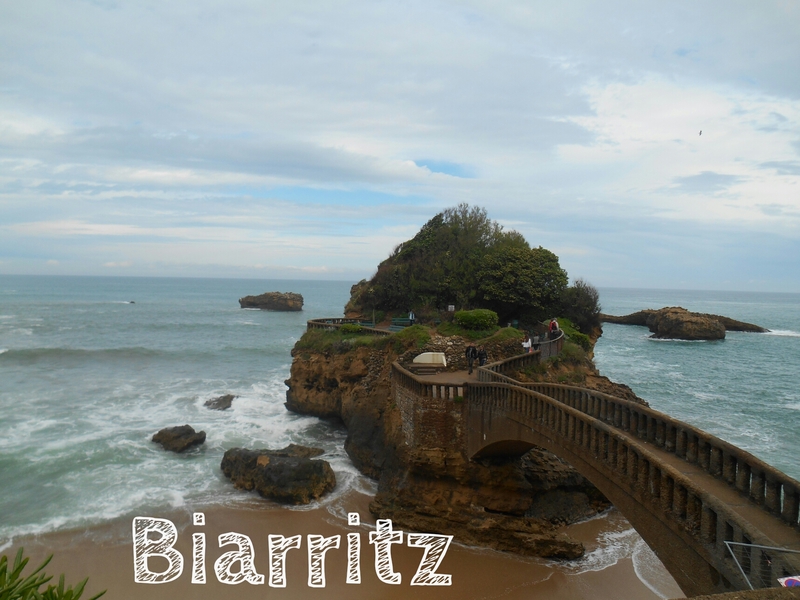 Our first stop was Biarritz which is a coastal resort town along the Cantabrian sea. 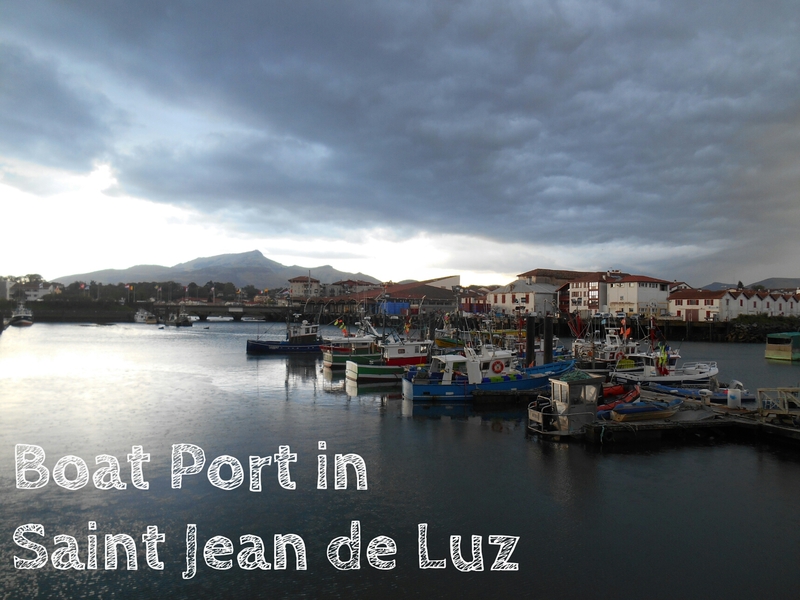 This is still located in the Basque Country however we are now on the French side. 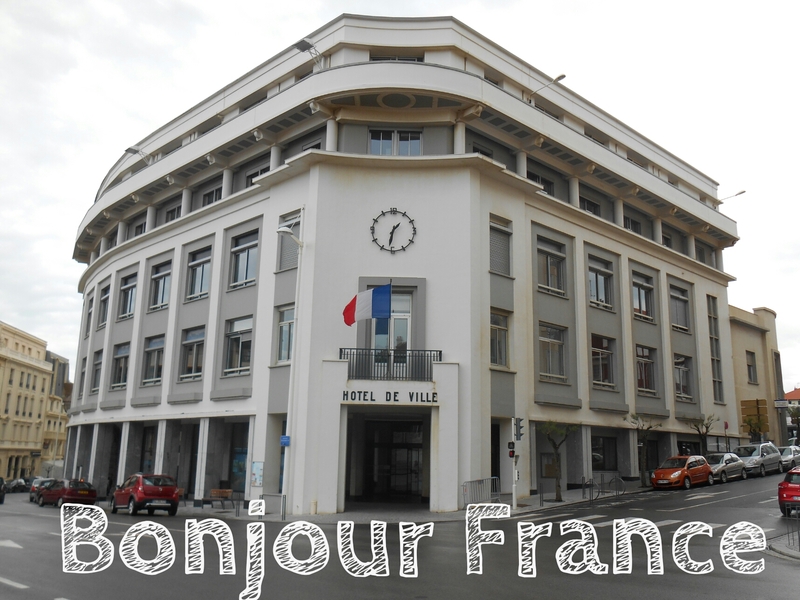 We notice that the buildings around us have a noticeably stronger French influence in there design. The French influence overtakes the Basque influence in this area. 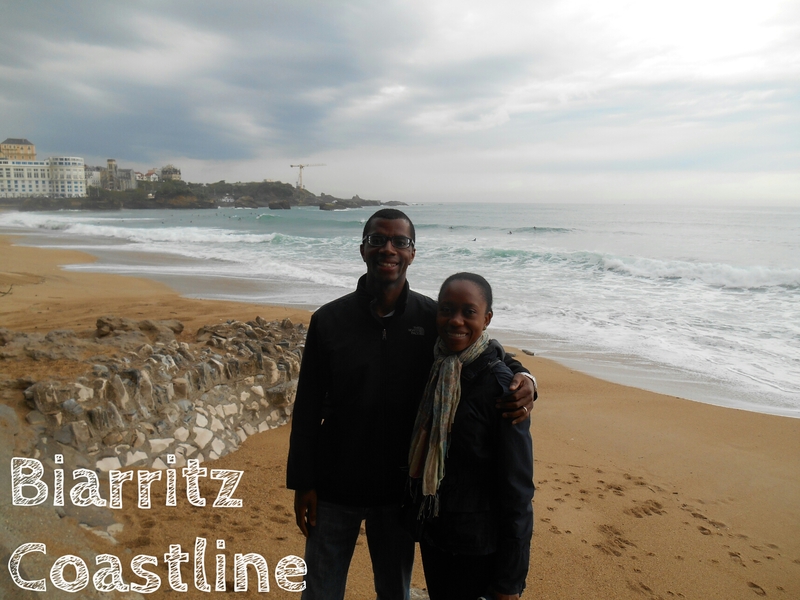 In Biarritz we walk along the coast and everything is so clean and the people are friendly too. They smile at you and amazingly even say hello which is not something that we are used to since we have been here in Europe. The beach is beautiful and there are many surfers in the water taking advantage of the nice waves. 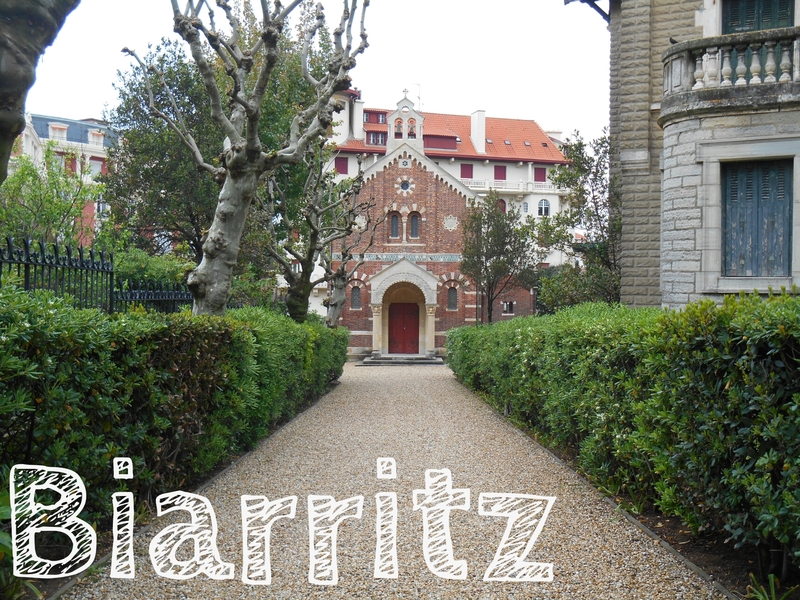 We walk along the promenade and spend some time visiting the city and taking in the sights. Our next stop by car is to a castle which is on top of a hill and overlooks the border between France and Spain. 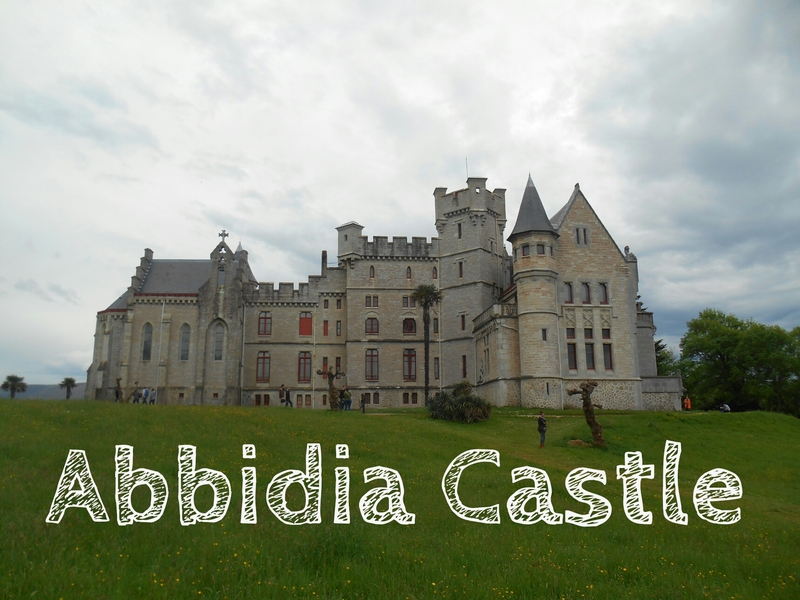 The castle is called Abbidia and it’s absolutely beautiful and it’s surrounded by fields of flowers and the ocean right below. 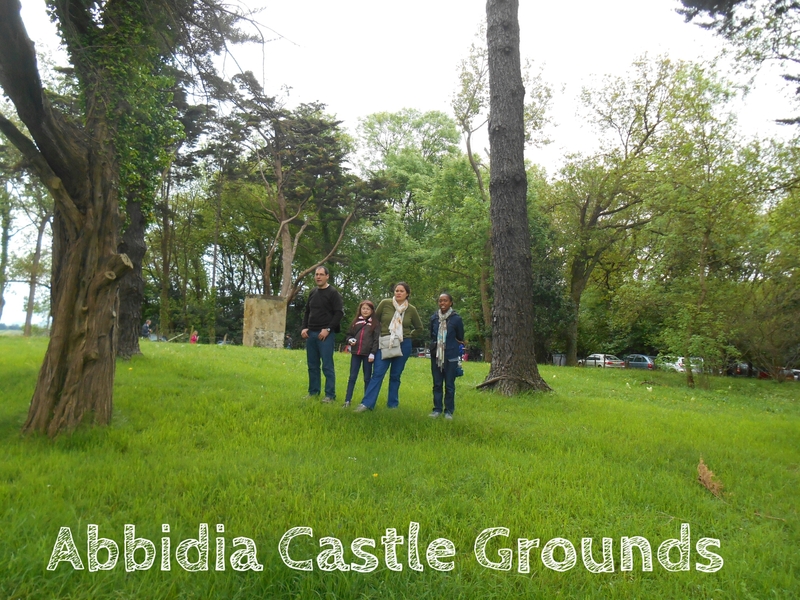 We spend some time taking photos and enjoying the scenic grounds before heading to our final destination. 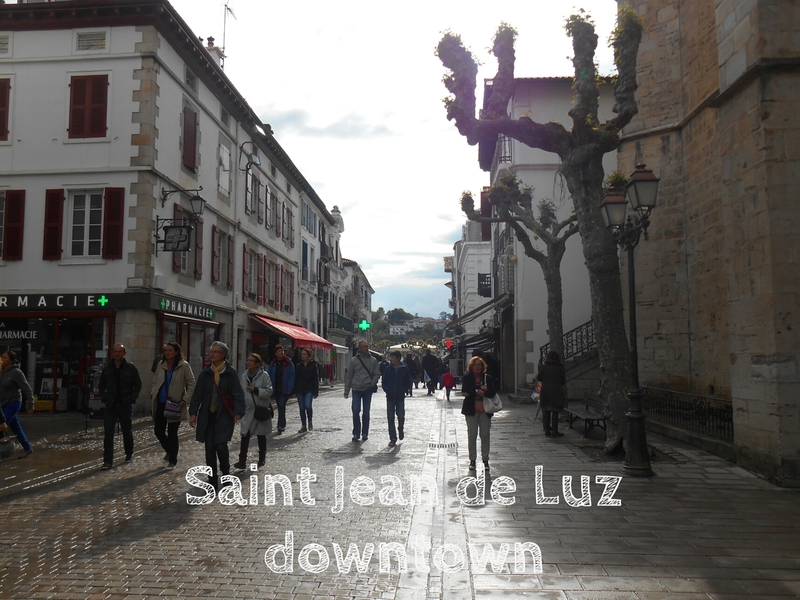 By car we arrive to a town called Saint Jean de Luz which is a port city and is very picturesque. 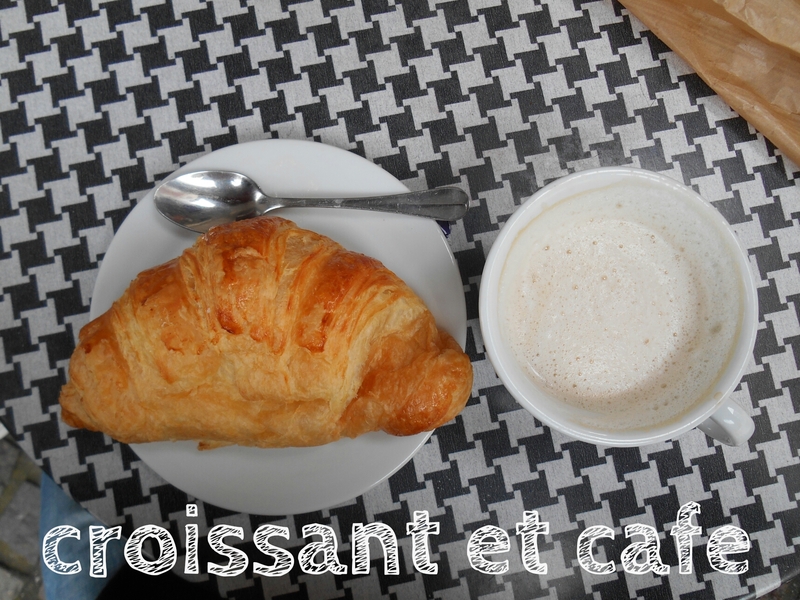 We stroll through the town streets and we stop for a croissant and coffee in one of the local cafes. 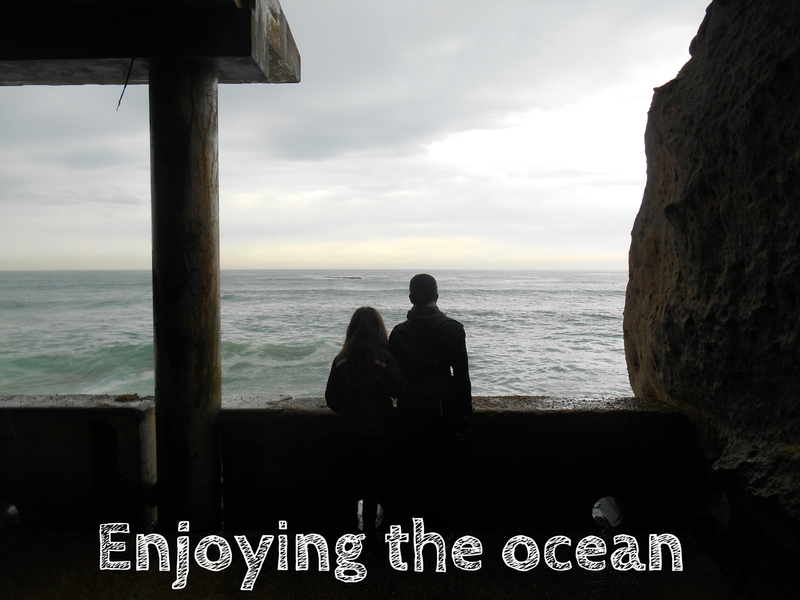 We really enjoyed spending the day in France and we also enjoyed the company that we were with! Back in Bilbao we had planned a fun day of visiting one of the local museums and then going to hear a jazz concert. We visited the museum of fine arts and had a good time. They had some nice collections from classic Spanish artists and they also had a few nice paintings that we really enjoyed depicting some Bible characters such as Lot and Samson. 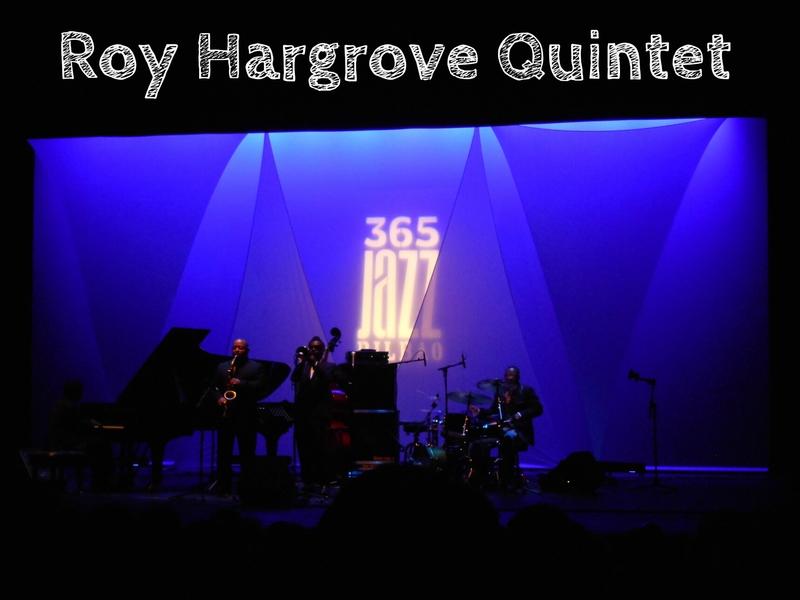 After the museum we headed over to the Teatro de Campos Eliseos to see the Roy Hargrove Quintet. He’s a jazz artist from the US and this marked our first concert in Spain. We weren’t sure what to expect but we had a good time and the place was packed. 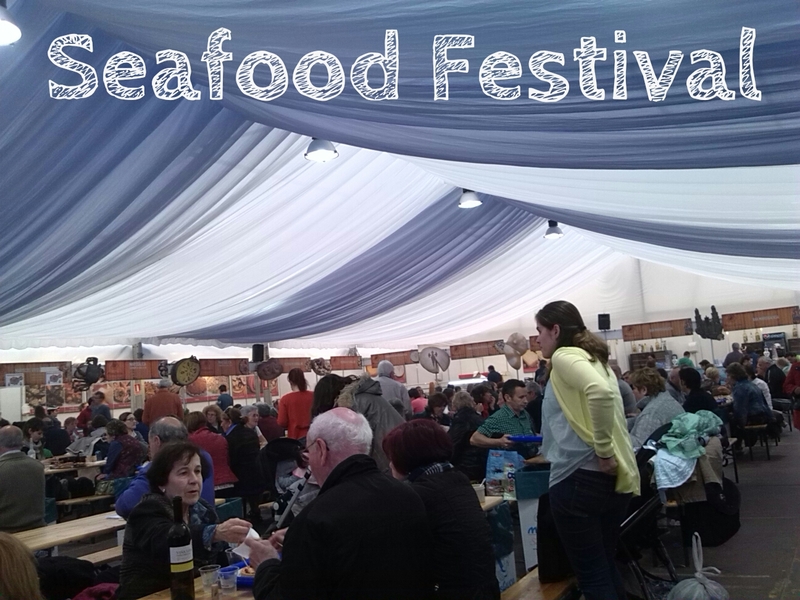 Later in the week I had stumbled along a seafood festival featuring food from Galicia in the north of Spain. Galicia is very well known for seafood and bread so we couldn’t pass up the festival. Since May 1st was a holiday in Spain we decided to take advantage of it and attend the festival. It was held in a bull fighting stadium under a giant tarp. There are two time slots available, either lunch or dinner. 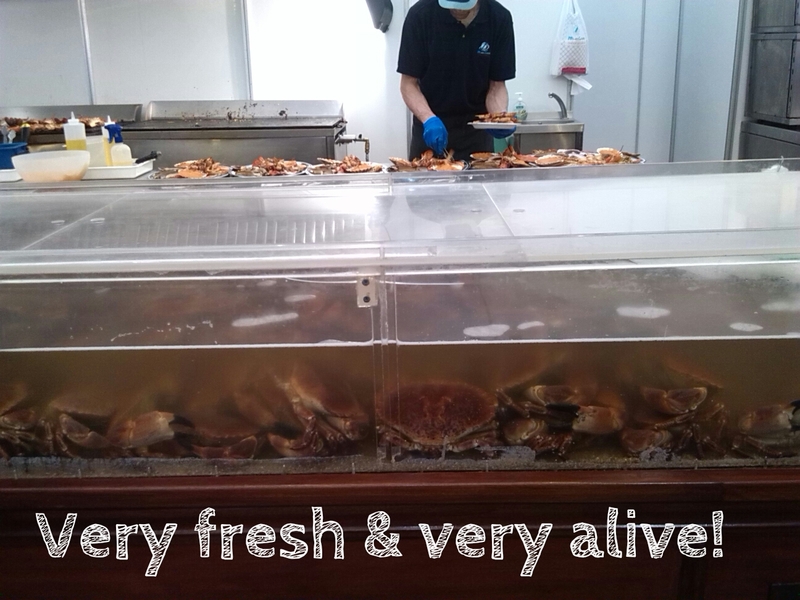 The seafood is trucked in from the ocean each day and is served fresh. 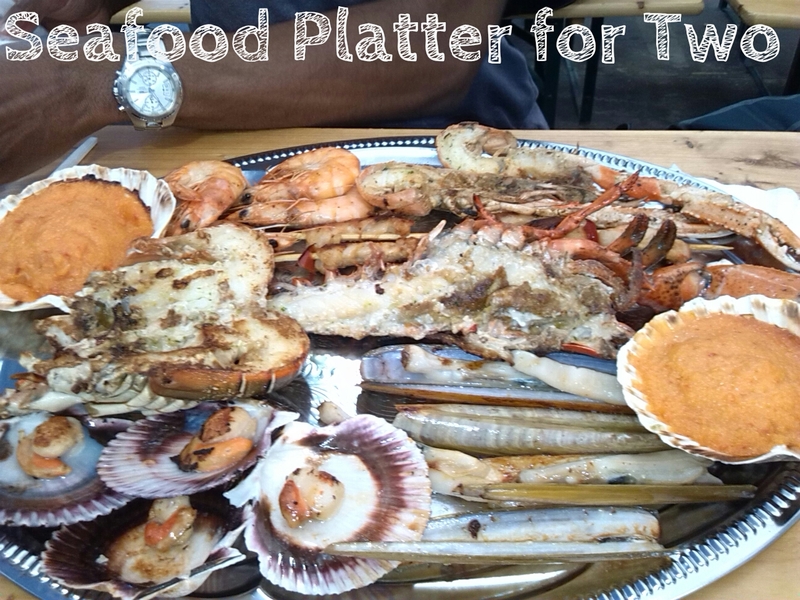 They had an array of things to chose from but we decided to get the dinner option for two which consisted of: lobster, prawns, octupus, razor clams, scallops and we got some bread and a bottle of dry white wine. In our last post Kanicia mentioned that she was still waiting to have that amazing meal that she’s read about and saw on tv. This was it! 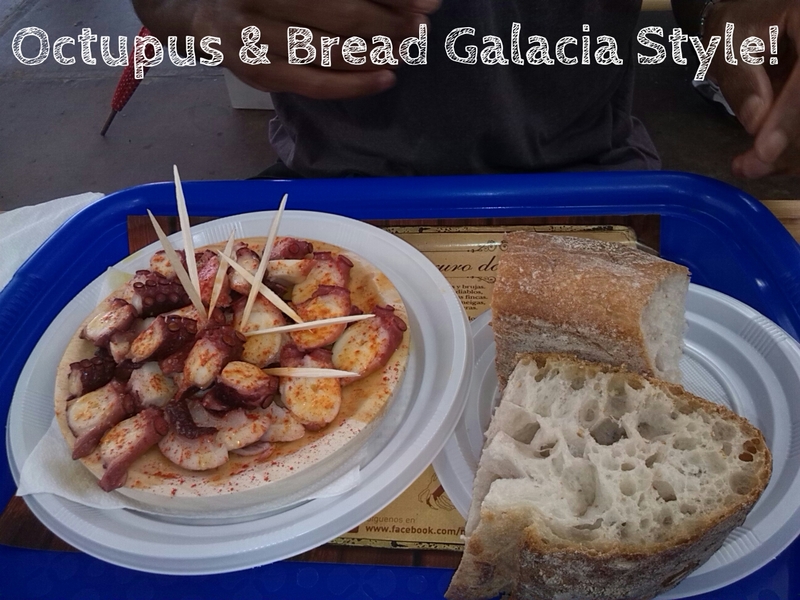 We quickly saw why Galicia is famous for their seafood and bread. The octupus and the lobster were especially delicious and the wine was a perfect compliment! The festival will be running till mid may so we may have to go back. 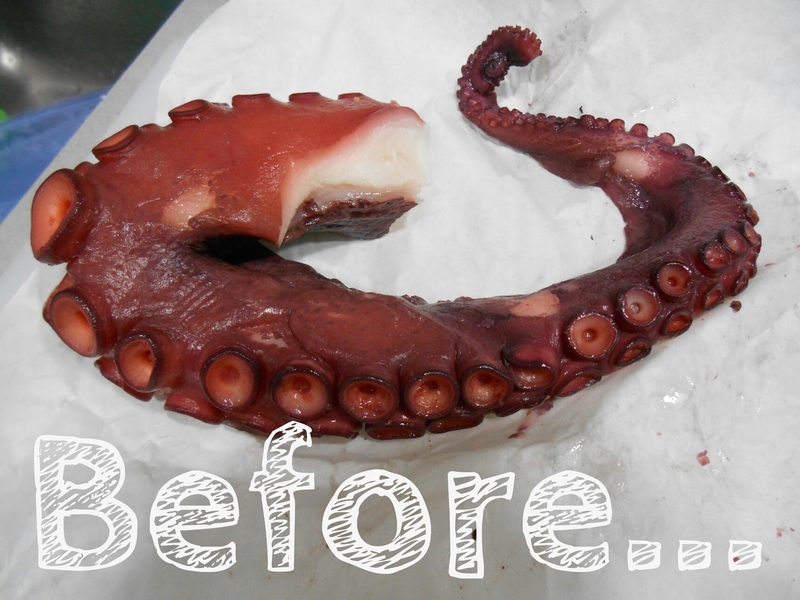 The octupus was so good that it inspired us to get some from the market yesterday and try to recreate to some degree the meal that we had at the festival. 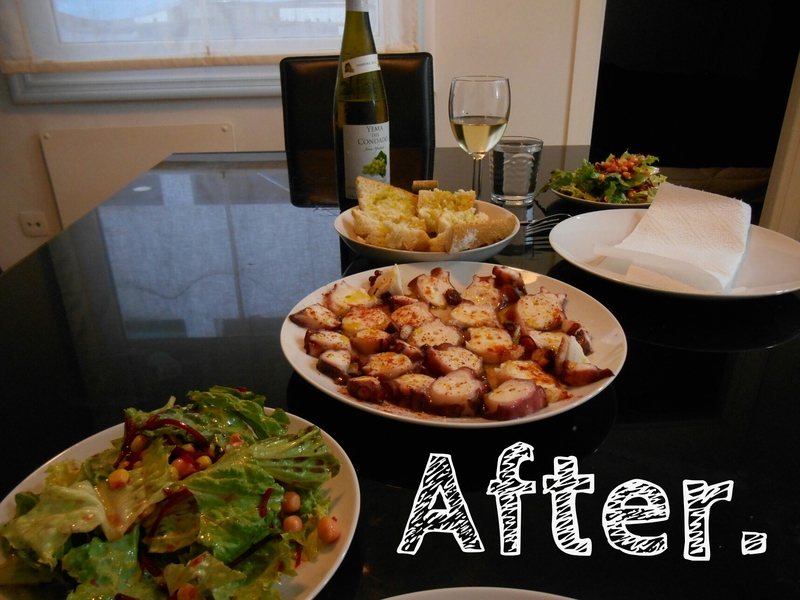 Kanicia has never cooked octopus before but she was up for the challenge. We replicated the Galician style and we even found some bread that is made in Galician fashion so we were quite happy. This was a nice way to end a nice day spent out in the ministry. This week also marks Kanicia’s finishing her first week of work as an English teacher. She’s still adjusting to the schedule but she is grateful that she is able to work from home and do something that she enjoys. We’ve had a lot of fun these past few weeks and we look forward to the rest of the service year. I’ve been able to make arrangements to continue expanding my ministry starting this month until the end of the service year so we look forward to Jehovah’s blessing in regards to that.